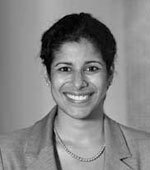 Shahzeen Attari is currently an assistant professor at the School of Public and Environmental Affairs (SPEA) at Indiana University, Bloomington. She is an Adjunct Research Scientist at the Earth Institute at Columbia University. Her research focuses on the interactions between natural and social systems, particularly human behavior and climate change. Her previous work investigated preferences for behavior change and perceptions of energy consumption. Her current work investigates effects of real-time energy feedback, how to use games for research and learning, and factors that motivate action in social dilemmas. Previously, she was a postdoctoral fellow at The Earth Institute and CRED at Columbia University. She holds a Ph.D. in Civil and Environmental Engineering & Engineering and Public Policy from Carnegie Mellon University. She holds a Bachelors of Science in Engineering Physics from The University of Illinois at Urbana-Champaign.